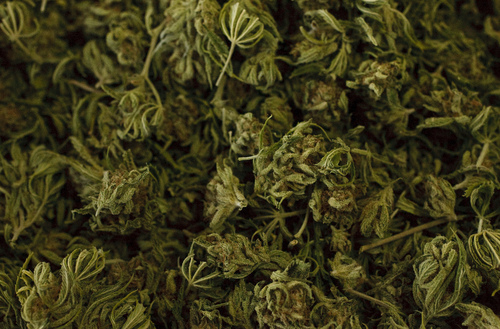 Low in THC, the compound that gives users a high, this specialized plant is in high demand. 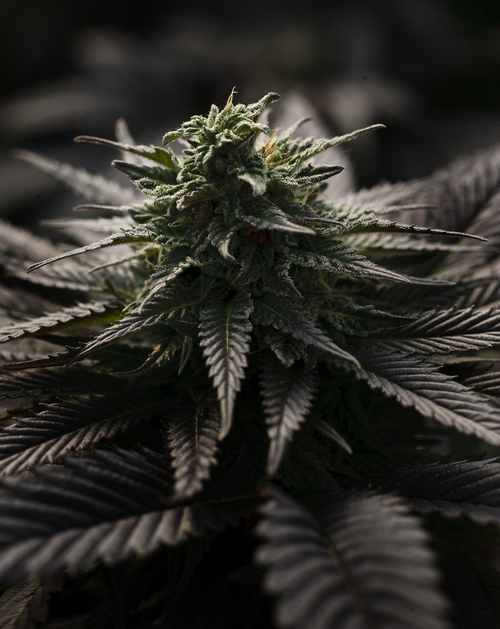 Leah Hogsten | The Salt Lake Tribune About a third of the Realm of Caring Foundation's greenhouses is devoted to Charlotteís Web, a short, slow-growing plant high in cannabidiol but low in the psychoactive component of marijuana known as "THC. "† Charlotte's Web is used for the production of cannabis oil that can be used in the treatment of epileptic children. Leah Hogsten | The Salt Lake Tribune Every part of the plant is used, the kief, shake and the stems, which are composted and used for fertilizer. "Eventually we would like to make paper" with the stems, said marijuana grower and entrepreneur, Joel Stanley, October 25, 2014. 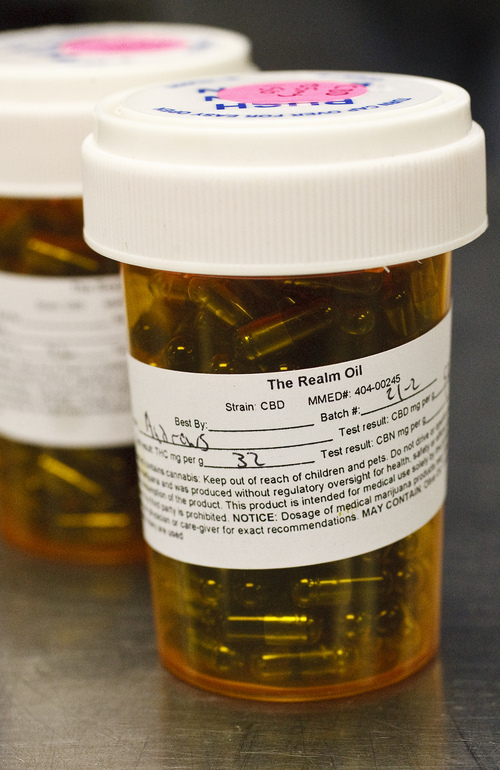 Leah Hogsten | The Salt Lake Tribune The Realm of Caring is producing its Charlotteís Web oil as quickly as possible in order to move patients off a 200-person waiting list. 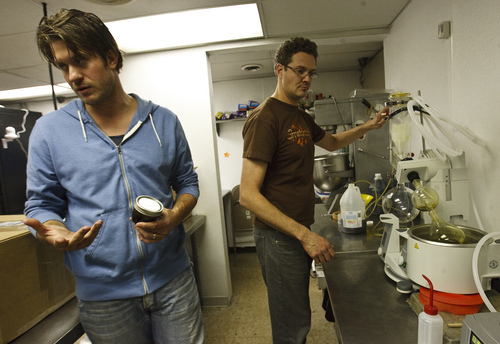 Their lab, an industrial kitchen, is overseen by Jesse Stanley (left) and lab technician Bryson Rast (right), October 25, 2014. 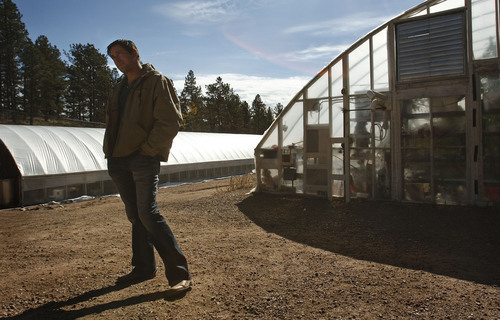 Leah Hogsten | The Salt Lake Tribune Cannabis breeder Joel Stanley stands outside "the grow," two greenhouses at an undisclosed location in the mountains outside Colorado Springs. The Stanley brothers - Joel, Jesse, Jonathan, Jordan, Jared and Josh - dispense medical marijuana to cancer and auto-immune patients and parents of children with debilitating seizure disorders. Leah Hogsten | The Salt Lake Tribune Realm of Caring sells Charlotte's Web at about cost and provides it free to families who can't afford it through the Indispensary in Colorado Springs, October 25, 2014. Strains high in tetrahydrocannabinol (THC), the plant's psychoactive component that creates a high in users, retail for far cheaper than street value, about $25 to $30 for an eighth of an ounce. Leah Hogsten | The Salt Lake Tribune Charlotte's Web cannabis buds and leaves arrive at the Realm of Caring's lab in vaccum sealed bags and stored in bins to protect them from light, which can cause them to chemically degrade, October 25, 2014. 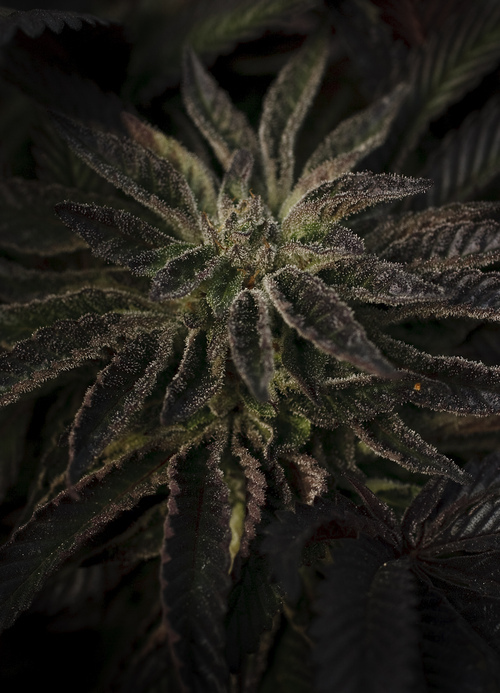 Leah Hogsten | The Salt Lake Tribune Charlotte's Web marijuana buds and leaves are stripped from the stems and soaked for hours in grain alcohol to extract the cannabinoids, October 25, 2014. The Realm of Caring reserves Charlotteís Web, the highest of their high-CBD strains, for children so they donít run out.† Leah Hogsten | The Salt Lake Tribune Charlotte's Web, which has large amounts of cannabidiol but not THC, was cultivated by cross-breeding plants with desirable qualities. "We're still trying to improve the strain, make them grow bigger and faster," said marijuana grower and entrepreneur Joel Stanley of Colorado Springs. The plants are grown from clones, not seeds, October 25, 2014. Leah Hogsten | The Salt Lake Tribune Jameson Hilger tends to plants that have grown up to 10 feet tall, October 25, 2014. Some marijuana plants produce a strong natural fiber that can be used for clothing and paper, and that grows much faster than trees. 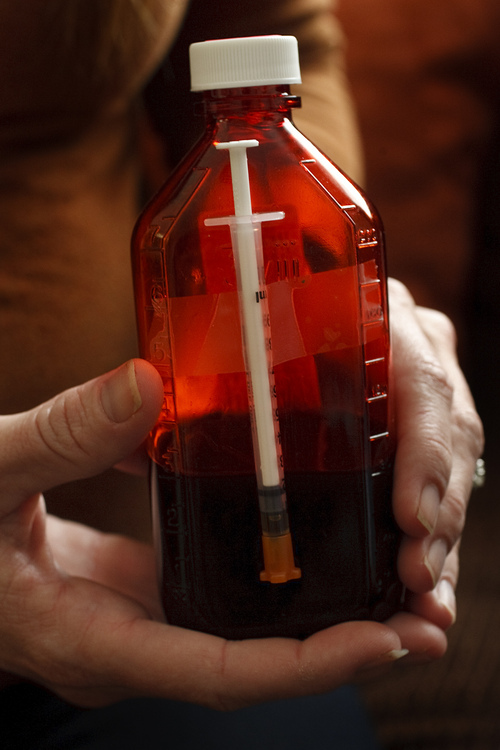 Leah Hogsten | The Salt Lake Tribune "We can do about a liter-and-a-half an hour," said Realm of Caring lab technician Bryson Rast, as he separates alcohol from the Charlotte's Web extract, October 25, 2014. Leah Hogsten | The Salt Lake Tribune The Realm of Caring Foundation's Charlotte's Web is also sold for a nominal fee as an oil and, less increasingly, in capsule form October 25, 2014. Leah Hogsten | The Salt Lake Tribune The largest of the two greenhouses is the most efficient because it's geo-thermally cooled. "We're a clean operation, a green operation," said grower Joel Stanley, October 25, 2014. 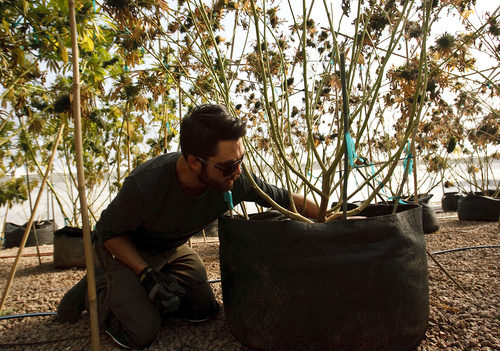 "There are no molds and mildews on our plants, because it's so dry here." 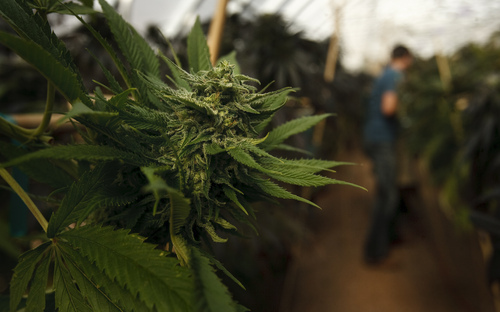 Leah Hogsten | The Salt Lake Tribune Joel Stanley talks with his brother, Jared Stanley who oversees the Realm of Caring Foundation's "grow," two greenhouses filled with a variety of strains of marijuana plants, October 25, 2014. 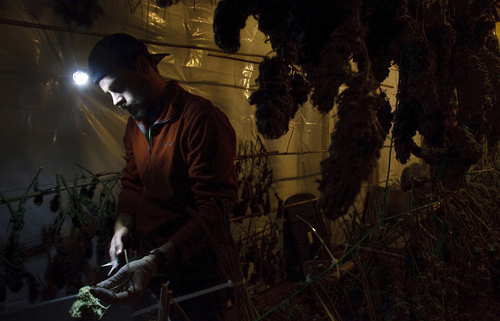 Leah Hogsten | The Salt Lake Tribune Tanner Budde "bucks" marijuana, removing buds from the large stems, for drying and curing, October 25, 2014. 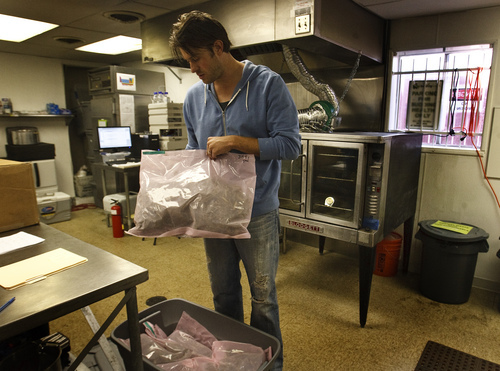 The buds are then trimmed, weighed and packed into vacuum sealed bags for shipment to medical marijuana dispensaries. Leah Hogsten | The Salt Lake Tribune The Koozers were given a two-month supply of Charlotte's Web, cannabidiol oil, which theyíll introduce gradually. Tennesseans Annie and Justin Koozer moved to Colorado to save their two-year-old daughter Piper from the debilitating seizures she suffers as a result of a rare chromosomal disorder called Aicardi syndrome. Colorado Springs • Preparing Charlotte&apos;s Web is a protracted, tedious process that starts at "the grow," two massive greenhouses on 56 acres of spring-fed land at an undisclosed location in the mountains. It&apos;s harvest time and the greenhouses are full of towering plants. Colorado&apos;s sunny climate allows the nonprofit Realm of Caring Foundation to grow marijuana year-round. It gets two harvests a year, but hopes to ramp up production to three to four harvests through a light deprivation strategy that causes the plants to flower in winter. About a third of each greenhouse is devoted to Charlotte&apos;s Web, a shorter, squattier plant that grows more slowly than other varieties. The plant is high in cannabidiol (CBD) but low in tetrahydrocannabinol (THC), the component of marijuana that creates a high in users. It&apos;s in such high demand by parents of ill children, typically kids with epilepsy, that Realm can&apos;t immediately supply them all. "It keeps cutting into our THC growing, which has been necessary to move families off the waiting list," said 34-year-old Joel Stanley, one of six brothers running the foundation. "But we are walking a fine line" financially, he said, because Charlotte&apos;s Web is sold almost at cost. It takes 13 to 14 workers to tend the plants. Dogs roam the property, which is fenced and under 24-hour camera surveillance. After the plants are harvested, they are hung to dry and cured like tobacco. They are trimmed, weighed and vacuum sealed into food-grade bags for shipment to dispensaries. Everything is labeled and carefully inventoried, and every part of the plant is used, including the stems as fertilizer. Charlotte&apos;s Web is sent to Realm&apos;s lab, an industrial kitchen in Denver overseen by 32-year-old Jesse Stanley. Buds and leaves are stripped from the stems and soaked for hours in grain alcohol to extract the cannabinoids, Jesse Stanley explained. 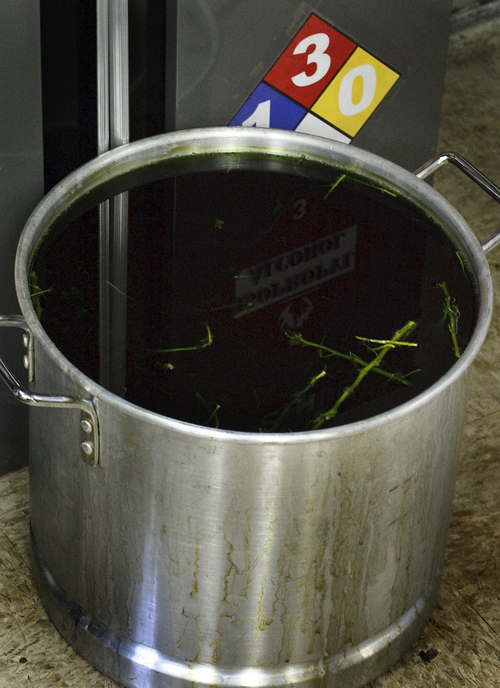 The resulting dark amber-colored liquid is strained through a fine mesh to remove all plant material and poured into a rotary evaporator to remove the alcohol. 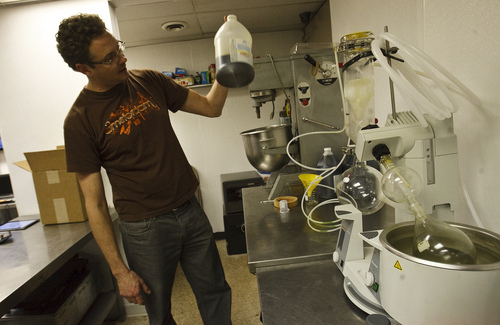 A device used in chemical laboratories, the "rotovap" allows for liquid solvents  in this case, a CBD extract  to be quickly and gently removed without excessive heating. The end product is a gummy substance thicker than pancake syrup. "We can do about a liter-and-a-half an hour," said Bryson Rast, a lab technician the Stanley brothers hired away from the pharmaceutical and nutritional supplement industries. The brothers also just acquired a high-performance liquid chromatography machine, which they&apos;ll use to validate samples, or measure the amount of CBD and THC in each batch. Currently samples are sent out for testing, which is expensive, said Jesse Stanley. When the samples return, he dilutes them with olive oil. "It&apos;s primitive the way we do things, but accurate," he said. "Quality control is our goal." 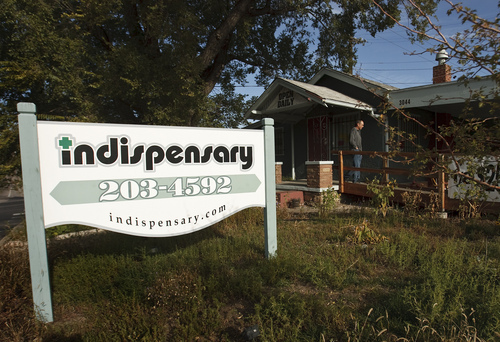 Colorado Springs physician Margaret Gedde who is tracking children who are using Charlotte&apos;s Web, said there are other growers that sell low-THC products. 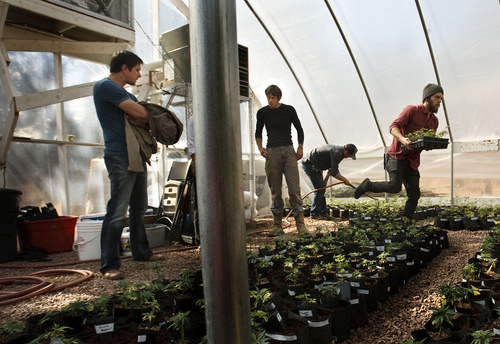 On Monday at 12:15 p.m., reporter Kirsten Stewart, marijuana grower Josh Stanley and others join Jennifer Napier-Pearce to discuss Colorado&apos;s experience with medical refugees. You can join the discussion by sending questions and comments using the hashtag #TribTalk on Twitter and Google+.